A selected guidebook that showcases the best lower grade snow, ice and mixed climbs (F to AD+) in the seemingly inexhaustible Mont Blanc Range. Mountaineering in the Mont Blanc Range showcases the most beautiful lower grade snow, ice and mixed climbs (F to AD+) in the seemingly inexhaustible Mont Blanc Range. The routes described in this book should be within the capabilities of almost all mountaineers. Reflecting all recent changed topographical conditions due to the steady glacial retreat created by climate change, authors Jean-Louis Laroche and Florence Lelong have selected 36 climbs from across the range, which are easily accessible from well appointed mountain huts, useful telepheriques and mountain railways. The routes described are an ideal introduction to the climbing in this magnificent area. They are on snow or mixed ground and, distributed among the main glacier basins, they will enable you to visit a representative selection of summits along the full length of the range. Among them are some of the finest classics, including: the North Face of the Tete Blanche; the Whymper Route on the Aiguille d'Argentiere; the Cosmiques Ridge of the Aiguille du Midi; the Normal Route, Contamine-Grisolle, and Chere Couloir on the Mont Blanc du Tacul; and of course a choice of routes on Mont Blanc itself. Each route features a detailed and comprehensive route description, a sketch map and a route summary detailing the start point, difficulty, timings, height gain, best time of year and the gear required. 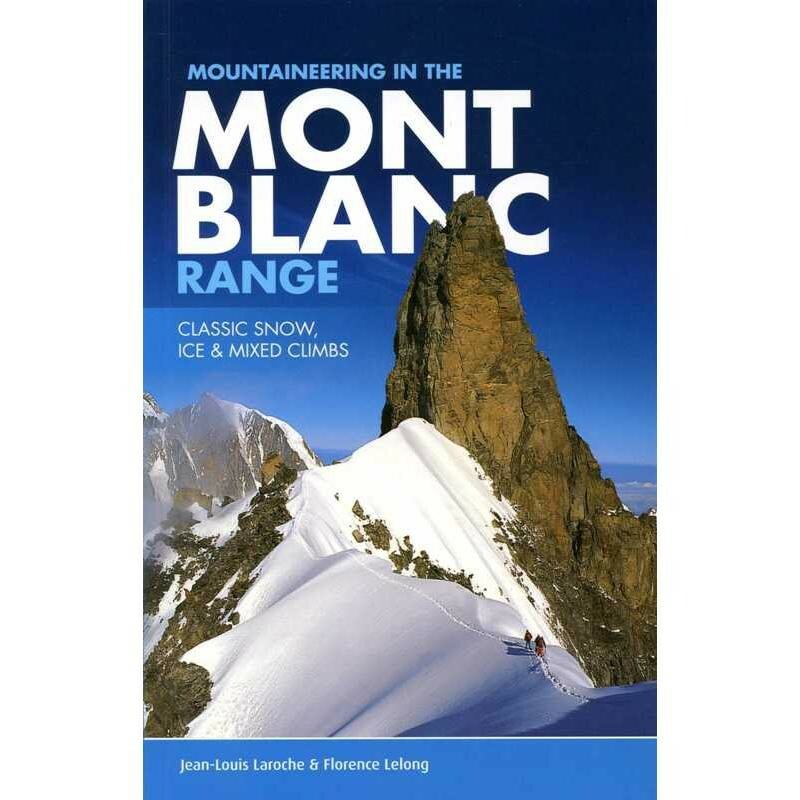 Beautifully illustrated with photos that show both the lie of the land and also the haunting beauty of the fabulous peaks of the Mont Blanc Range, this guide clearly indicates alpinism's continued popularity to climbers of all ages.